California Public Utilities Commission–which is reviewing the AT&T deal –said the takeover would harm competition in the largest U.S. state by population and urged the full commission to reject the deal. 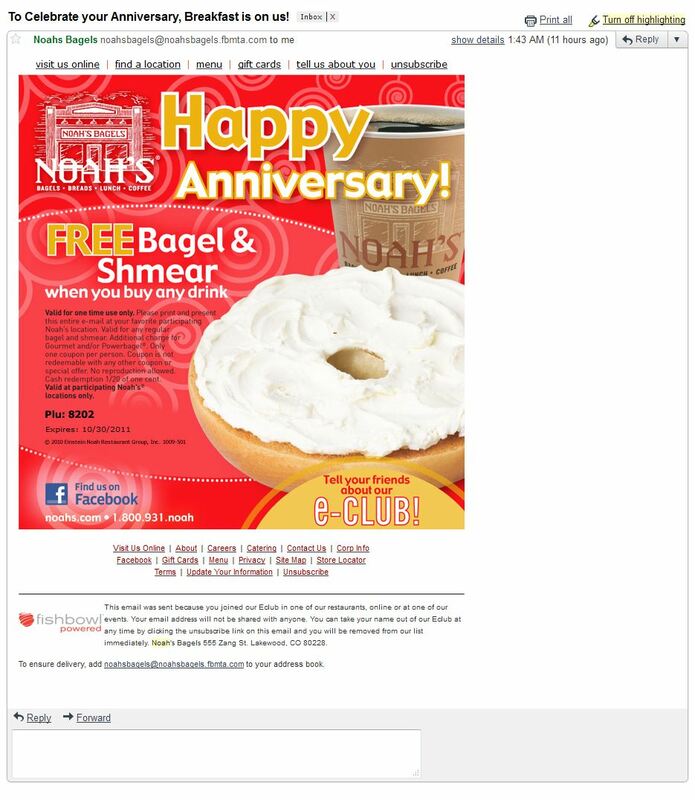 To Celebrate your Anniversary, Breakfast is on us! Free Noah’s Bagel and Smear use this coupon, can only use once. Green Festival, the nation’s largest, most trusted green living event comes to the Los Angeles Convention Center October 29-30. Meet and hear renowned authors and visionaries. Participate in DIY workshops. Enjoy films, fun kid’s activities, organic vegan & vegetarian cuisine, local beer & wine, music & art and a diverse marketplace of green businesses & organizations. For more information, check out our website at www.greenfestivals.org, email us at social [email protected] or call 828-333-9403.
drank water from river and ate bugs and leaves to survive! There was another accident in that area and the driver did not survive. lots of broken bones and bumps and bruises. rescued by his own family! Debit Card Fees at Bank of America will start to charge you $5 per month for using your debit card at merchants. I am not a big fan of debit cards, and banks that do this are tricking customers. Basically they are doing this because they are not making money off of charging you interest like would happen on a credit card. Wells Fargo is already doing this, expect other banks to do the same think. So use caution when using your debit cards. The fee for debit card use has a new Federal limit of $.24. The banks have condition us to use debit cards, now the only place we don’t get charged is to use the banks atm and withdraw cash, but don’t be surprised if there is a fee for that. Banks need to make money, as the interest rates drop, but they are making it on the backs of the hard working class. It is just wrong. People are going to move to a cash, keeping their money out of the banks, because all they do is make money with our money and then charge us all sorts of fees for services. Many banks even charge for writing checks. New obstacle to course! MUD MADNESS! Slither along on your belly through a trough of mud. CHECK IT OUT! Does it bother anyone else besides me that our men and women of the service can lose their homes to foreclosure WHILE they are away serving our country? Is that insane? People who are dying for our country can come home and have NO home. We have become supporters of USA CARES and are trying to help these service men and women. This weekend we are having a small, intimate two-day training in Philly. All admission fees to the TWO-DAY “Hands On” Short Sale Workshop will be donated to USA CARES. You can attend the workshop for a small donation to USA CARES. Bring a check made payable to USA Cares in the amount of $25 or more and claim your seat – https://www.usacares.org. This class will be unlike anything you have ever attended: We are bringing actual short sale files that we are working on and will be working these open files in class. Each person will be assigned a file and taught how to work that file in a step-by-step order so that they can close deals for the highest profits possible. Register today – www.montcoinvestors.org – this class is for 40 VERY lucky investors who want to get their hands dirty and dig into actual live, active files and truly see what this crazy-fun business is all about. PS – Even if you can’t make the class, share this link – https://www.usacares.org – with your friends. If we all gave just $25 and each of your friends gave just $25, you would not believe what this would do for USA CARES! Remember, these men and women are the very reason you have the freedom to read this email. Lincoln Village Festival/20th Anniversary Celebration! Join us for our Lincoln Village Festival/20th Anniversary Celebration! Come celebrate the Lincoln Village with us. Visit vendor and information booths from our local businesses, community service organizations, and other community partners. Expect food, fun, bouncers for kids, and the company of your fellow Pasadena and Altadena neighbors as we recognize the commercial revival of the Lincoln Village Area and NATHA’s 20 years of outstanding service to the Pasadena and Altadena areas. Our YLG’s Lemonade Brigade, Robin’s Woodfire Grill & BBQ, SugarFix Deserts, Blazin J’s Kettle Corn, and In-N-Out. Thank you for your support of NATHA and its work! LincolnVillage2010 from OnWeb Television on Vimeo. Checkout some highlights of this year’s 7th Annual Lincoln Village Festival, held on November 6, 2010. We had a great time and we look forward to a bigger and better celebration in 2011 to celebrate our 20th year of service in the Pasadena community. Culture Collide Hits Whole Foods Market! During FILTER Magazine’s Culture Collide, select artists will be hosting FREE performances at select Whole Foods Markets locations throughout Los Angeles area. Ask your local Whole Foods Market about how to win two FREE wristbands to Culture Collide! Lemonade in Pasadena is now open. Lines form quickly and the workers get right on it to serve the patrons. Here’s a panorama of the inside of Lemonade on Lake in Pasadena. The Venice location is by far the most popular with lines forming early shortly after opening and running late into the night. We learned a little about the open nature of the salads, the trays are kept at 40 degrees and are switched out every 30 minutes or even more frequently. All ingredients are fresh and organic. AT&T is running into protest from many groups, consumers, Justice Dept, so it now places tomorrow Friday to file a motion against the suits, basically stating that the suits are not try and that the acquisition with t-mobile will in fact not hurt competition and will improve service. I must tell you that based on my experience with AT&T, if they are allowed to acquire T-Mobile it will be an abomination of the industry that already is suffering from rampant bad service, customer service, why does AT&T think that by acquiring t-mobile this will make things better, they basically will have swallowed one of their competitors and those customers are doomed to the same fate that existing AT&T customers are locked into. If you are a T-Mobile or AT&T customers the best thing you can do right now is as soon as your contract is up, CANCEL or actually you don’t even have to cancel, just as soon as your contract is up, DO NOT RENEW, don’t get swindled into renewing, because they have their ways. You have options, and now is the time to do it, as customers will feel the pain if they don’t. Make AT&T accountable for their actions and deception and practices. No apparent ties to foreign terrorist organizations. Plan was to use model airplanes loaded with explosives and crash them into buildings. Rezwan Ferdaus a 26 year-old US citizen and a graduate of Northeastern University in Boston. FBI arrested U.S. citizen Rezwan Ferdaus, who planned to fly remote-controlled model planes loaded with C-4 Into the Pentagon and Capitol, in a new homegrown terror plot. So what do you do when you have to swap out a hard drive with one operating system or actually a flavor of Windows XP from one machine to another? Is there really an easy way to do this? Apparently not. Microsoft has really figured out how to make this almost impossible. You call the support number and they pretty much no longer support Windows XP. I have three computers all with valid XP keys on stickers attached to the systems, and I went from a computer that had Windows XP Media Center Edition on it and took that drive and put it into another system that had a key for Windows XP Professional. Well the system did not like my activation on the hard drive going from the Windows XP Media Center to Windows XP Professional. So I attempted to “upgrade” from Windows XP Media Center to Windows XP Professional. None of the keys I had worked, I tried various and all returned, not a valid product code, with no option to contact Microsoft to register. So now I am left with trying to install a new fresh copy of Windows XP Professional on this system. Dear Microsoft, you have really managed to make the keys and registration process a nightmare, even for those who are legit, it sure stinks. Anyone else a similar experience? Are there any work arounds? or does Microsoft assume that when you move a hard drive from one system to another that you have to re-activate that operating system? and I was transferred to a something about DirecTV and ADT home security and the call was disconnected. We love to play online. And we play cards. But the best is to play cards free for sure. Governor of poker is a great game for example. Poker is the most known card game in the world. I use to play poker for free and never for real money. The easy way is to play online poker but is more fun to play with your friends. A webmaster is interested also to get poker ads for its gaming websites. 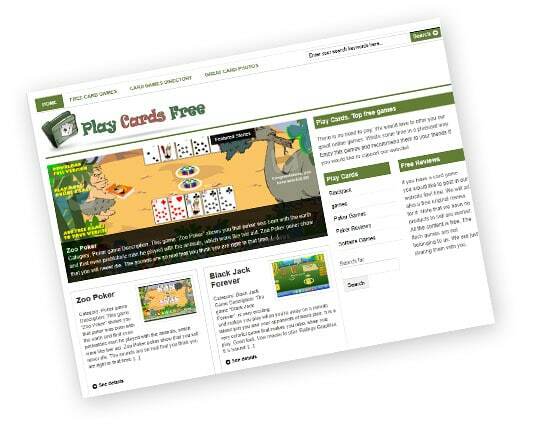 If you want top play only the best games you should check a site with the top games – free games. You can play a lot of free games if you have an internet connection. For everything you do, there’s a song that hits the spot. MOG brings them all to you: a world of music on demand, unlimited mobile downloads and ways to discover music free from the limitations of Pandora. The music you love, with you everywhere you go. Try MOG Free! Download unlimited songs to your iPhone or Android. Choose from over 11 million songs. Try MOG free! MOG is an award-winning music subscription service streaming 12 million of songs to multiple devices. For $9.99/mo., subscribers can listen to unlimited music on their computers and smartphones. Listed #1 in TIME’s 50 Best Websites, MOG provides subscribers with unlimited access to an ever expanding catalog of 11 million commercially released songs, customizable radio with no restrictions, playlist creation and unlimited mobile downloads. The Amazon press conference is going on now. 10:53 – Ships November 15, pre-order today. How will Apple respond next week on Oct 4, 2011, when we will get a glimpse of the iPhone 5 and 4gs models. Will we see a new iPad? Probably not, but do expect Apple to release an iPad 3, in the coming months, most likely in January. Amazon is making huge waves with this announcement, perfect timing as the holiday season approaches and the tablet market is maturing. Amazon CEO Jeff Bezos on Kindle as a service, four years ago “Amazon had 90,000 books. Today we’re over a million” this is an amazing stat that compares to what has happened in other formats of media, music and movies, the digitization of content accelerates. What is important to note is how do the publishers and copyright owners fare under the new distribution models? A: Print and mail this form. From the DMV Web site: “This form is used to apply for a Zero Emission Vehicle (ZEV) Parking Decal. A ZEV decal, when affixed to the rear driver side window or back bumper of an electric vehicle, authorizes the owner to park and recharge the vehicle in designated parking spaces.” The cost of the decal is $17. Every day over 150,000 domains expire or drop into the domain aftermarket. The Domain Exchange™ is a seamless transaction platform and one central place for buying from and selling on the largest domain marketplaces (including Go Daddy, eBay, Sedo and Afternic). Protrada provides the tools for you to easily, efficiently and successfully trade on The Domain Exchange™. Use Protrada to sort through all those domains to find ones that are undervalued and then bid on an unlimited number of these in the auction process. After winning, choose to set automatic actions including DNS change, re-list for sale or send to a broker. Protrada can also build a site around your domain to start earning passive revenue while your domains appreciate in value. Protrada’s IP is your secret weapon. Domaining has never been so easy, effective and efficient. Protrada – FREE Trial! Try It Now!